is one of our selected horse games which can be played for free at horse-games.org. It has been played 4018 times and has been rated from administrators of horse-games.org with 4.55 stars out of 5. If you like this kind of games you are welcome to play other amazing games in horse breeds category. 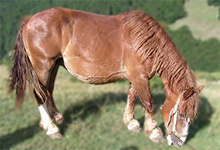 The physics of the breed can be described as a draft horse with a large yet elegant appearance, founded in many coat colors. The head is short and elegant with a straight or slightly concave profile, broad forehead and small ears set on a thick, muscular neck. The chest is full, ribs are rounded, hindquarters are a dip in the back and it has a sloping shoulder. Legs are short with big joints but robust and strong. 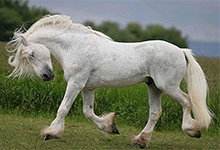 Other draft breeds usually have more or less feathering on their lower legs and fetlocks. The Boulonnais belongs to less feathering breeds. Most members of the breed have a brand on their left side of the neck that is a small anchor mark. They were also used to create new and refine other draft breeds such as the Anglo-Norman, the Selle Francais, the Italian Heavy Draft and the Ardennes. An interesting fact is that if the smaller type had survived, it could have been an ideal warmblood for competition if crossed with the Thoroughbred or the Anglo-Arabian horse. Today they are mainly used in the horsemeat market for meat production. 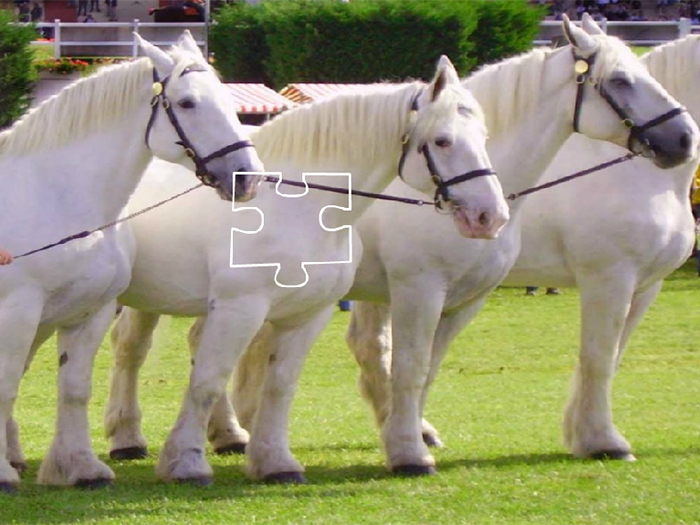 Solve this horse puzzle of a noble, intelligent and good natured horse breed. Use your mouse to rearrange the pieces of the jigsaw and see a beautiful image of the Boulo . So do not go anywhere, stay on horse-games.org and play thousand of free horse, pony and other animal games.